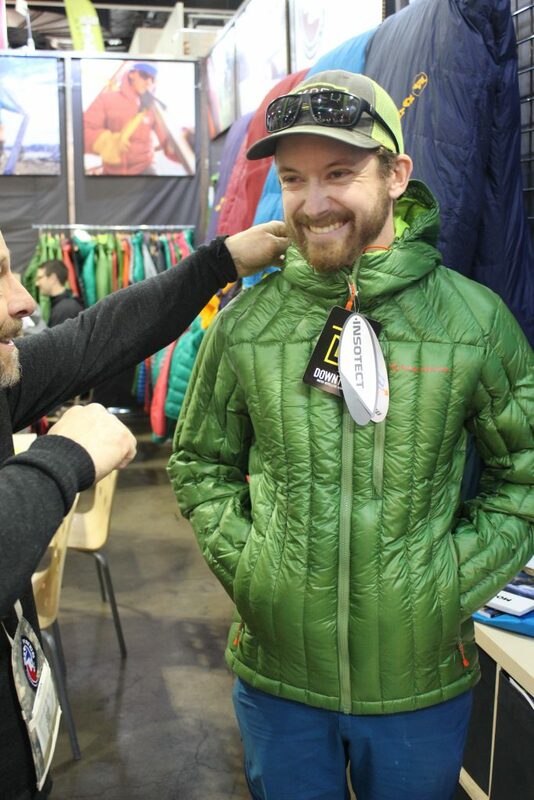 As most of you know, Outdoor Retailer, THE staple trade show in the outdoor industry left the state of Utah and settled into its new home in Denver, Colorado. After 20 years of being hosted in Salt Lake City, conservationists and public land advocates are celebrating the industries’ ability to sway public policy, pack its bags and settle into a state where protections for public lands see large political support. 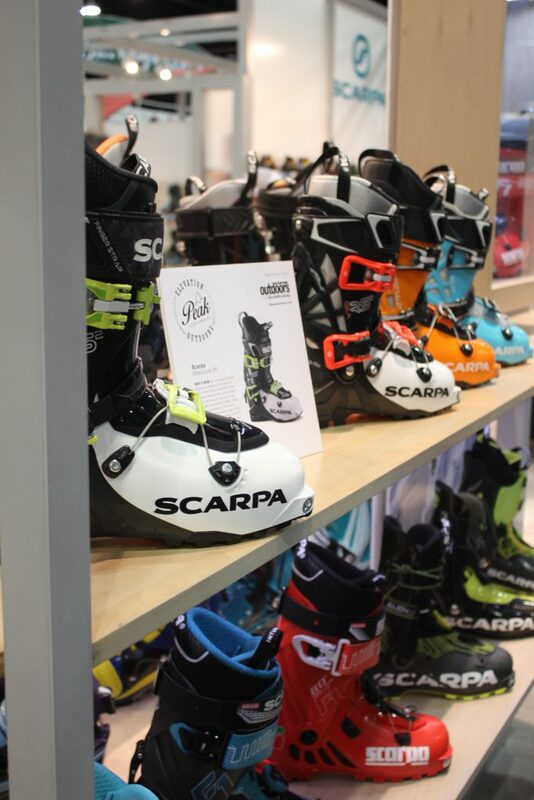 So, our little (not really) trade show settled into it’s new close-to-home Denver and joined SnowSports Industries Snow Show for an amazing opportunity for brands, new retailers, and outdoor enthusiasts to meet, network, and check out everyone’s new digs. Thus the Outdoor Prolink crew set out for a four-day trade show event and two-day on snow demo that blends both business and advocacy. For the nine of us at Outdoor Prolink specifically, the team set out to meet with as many brands on the site as possible, attend open panel discussions, meet with pros who may be attending, hear from keynote speakers and thought leaders (and OPL non-profit partners) like the Conservation Alliance, Protect Our Winters, and Camber Outdoors, and for the most part spend time with the incredible like-minded, talented, and passionate people that are apart of this amazing industry. Not to mention, of course, to drink copious amounts of the ever-flowing beer that seems to turn up at exactly 3:00 pm, each day of OR. CEO and founder of Outdoor Prolink, Gareth Richards summed up the teams’ experience at OR in one word, “energizing”. 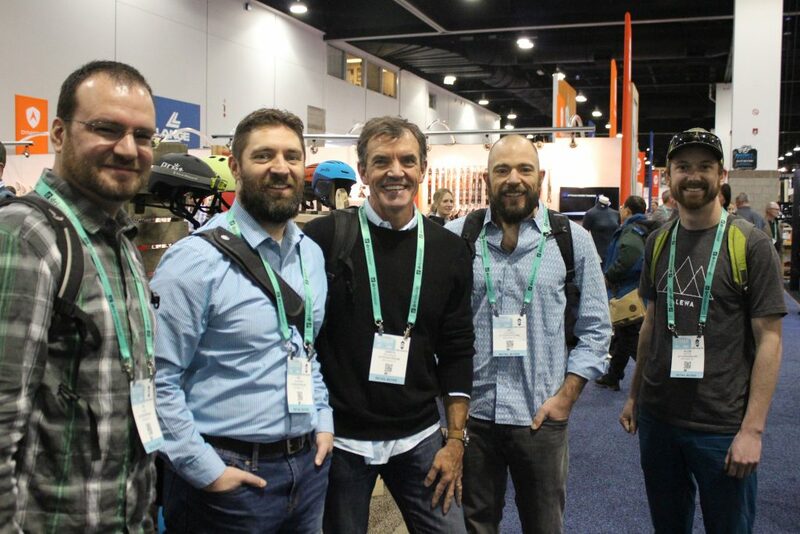 For a lot of us who work in the outdoor industry, the days of dirtbagging are fewer and farther between – from the incredible leaders who inspire companies to do business differently to the athletes who share their stoke – our passion for nature and our sport was re-invigorated and re-energized. 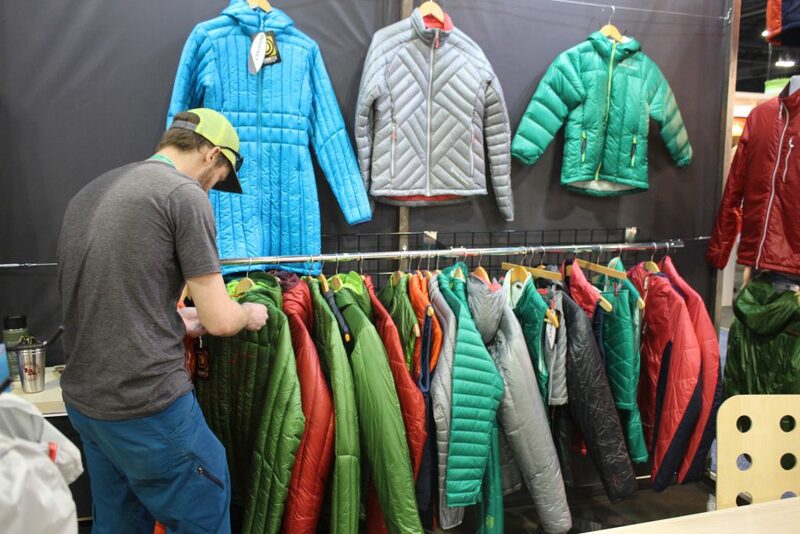 For the gear nerds of the company, we had to visit every brand who works with Outdoor Prolink team to check out the new and upcoming products for next season (aka visit our good friends). Get ready for a sneak peak of 2018 gear before it hits the shelves! You’ll find some of our favorites below. 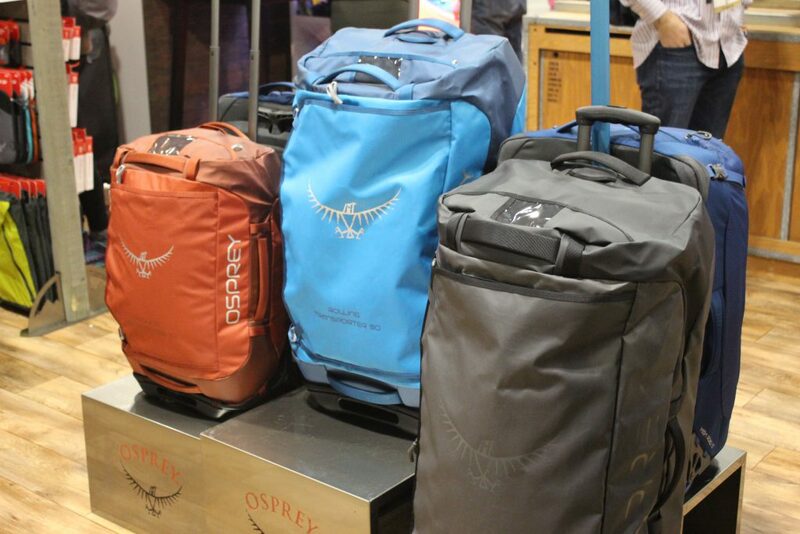 The Osprey booth was a delight to visit and they have a formidable fleet of new packs and gear for 2018. 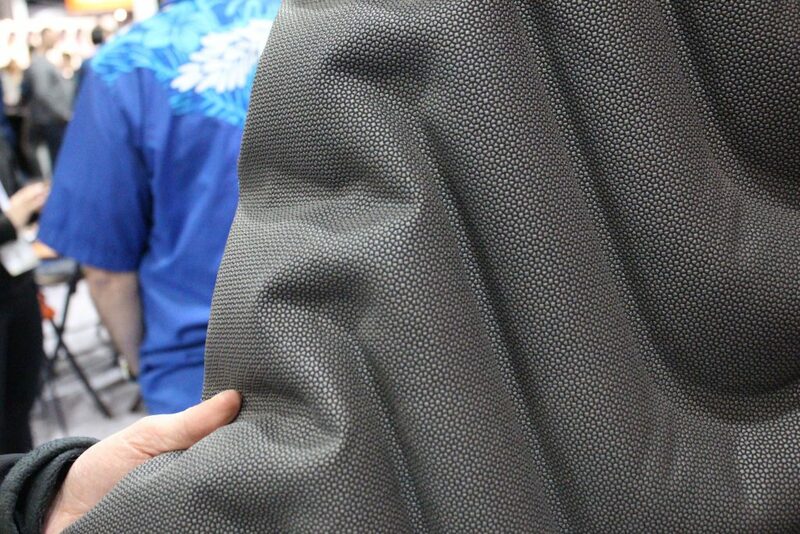 From improved travel luggage to new innovative lightweight packs, it’s always great to see what they’re up to. 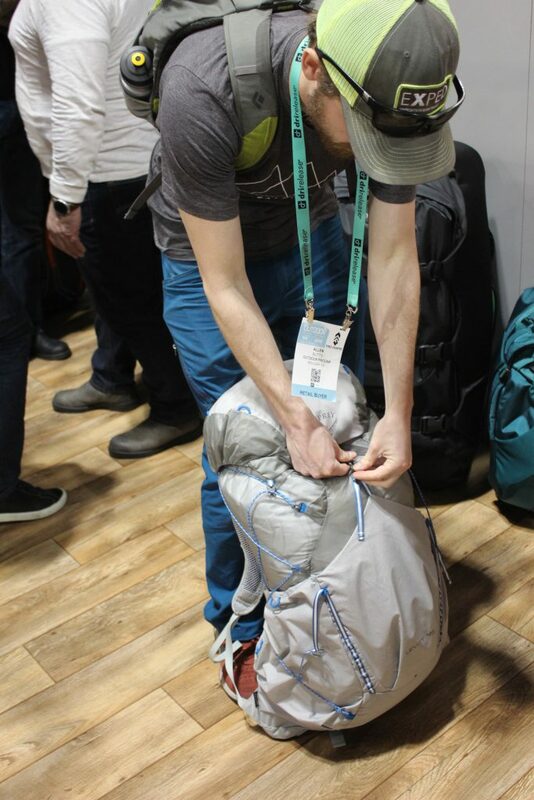 Allen’s favorite was, of course, the ultralight backpack, the Levity 45, coming in at a whopping 2 lbs! 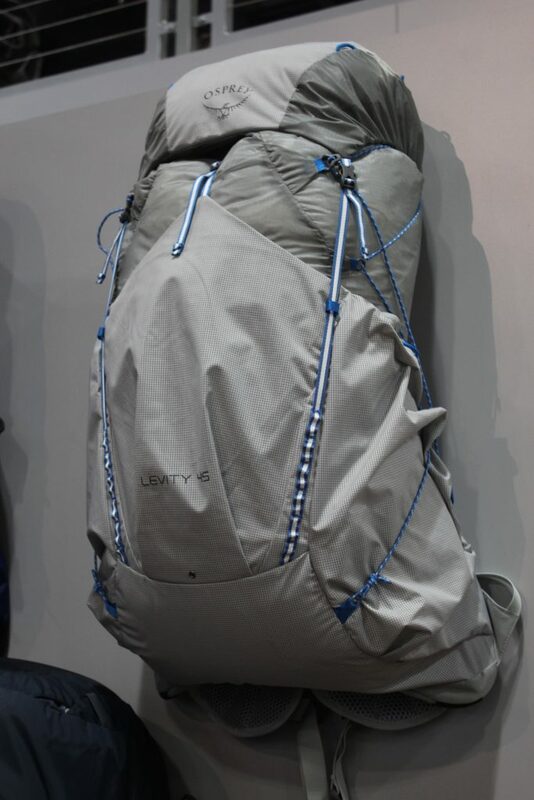 Osprey isn’t new to ultralight backpacks, but the Levity series blows all their other ultralight packs out of the water. The design is simple; one large main compartment, brain for smaller items, and a wrap-around stretch-mesh pocket for water bottles or anything else you may need quick access to. If you’re planning a thru-hike, or just looking to take a couple of pounds off your overnight pack, this pack is worth a glance. Being in Boulder, CO, we wish we could spend more time with the folks at Big Agnes, who reside just up the road in Steamboat Springs. 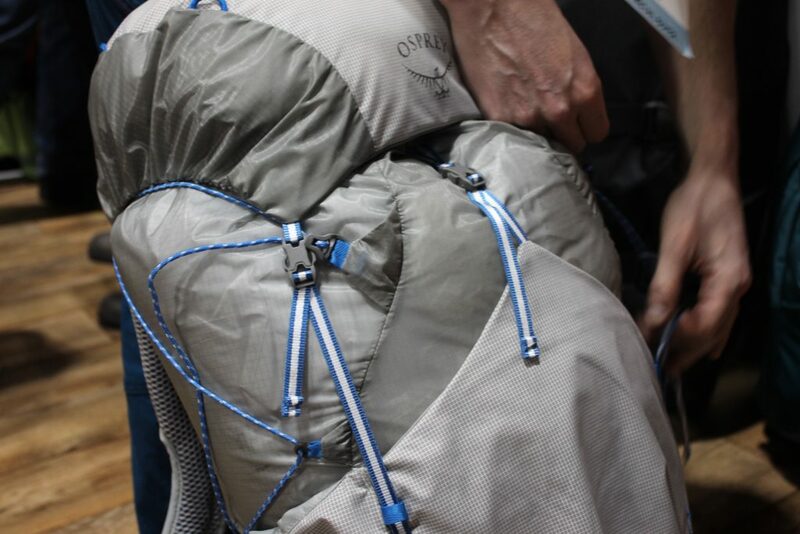 Nevertheless, we had to stop by and check out something Big Agnes isn’t necessarily known for, down jackets. It makes sense right? 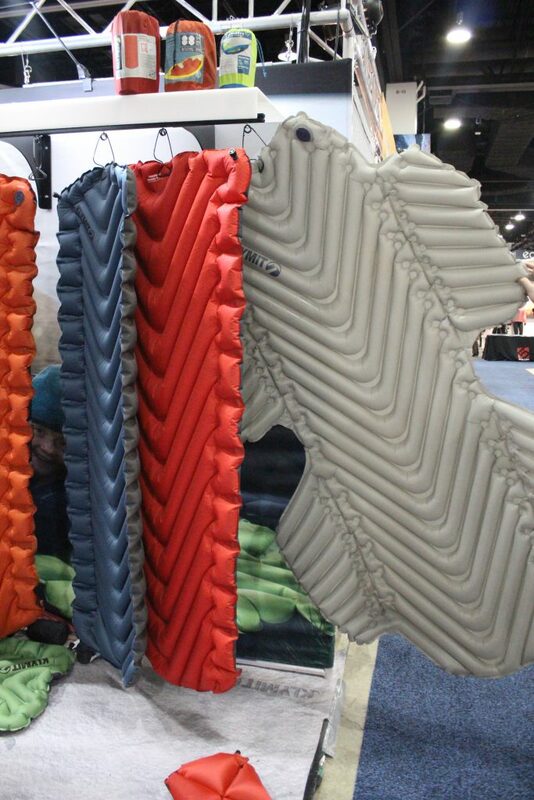 Their sleeping bags are par for the course, why wouldn’t you want to be wrapped up in their sleeping bag technology every day? 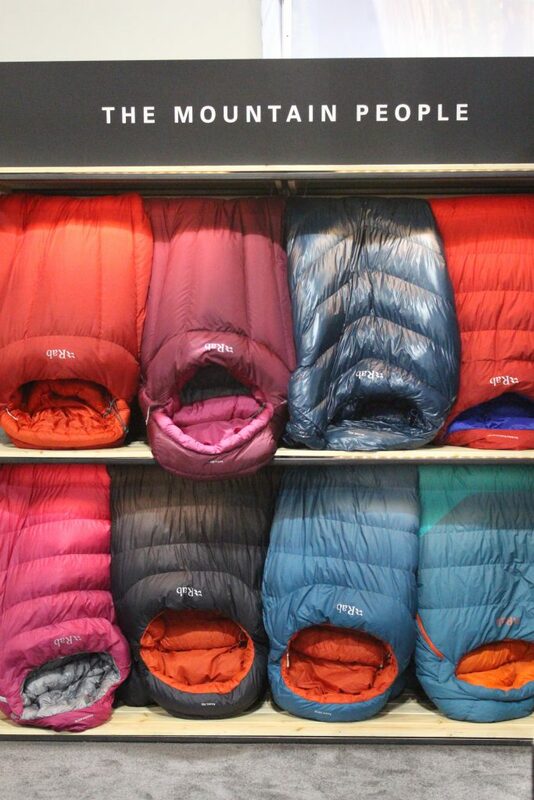 Their new line of down jackets boast extreme warmth, durability, and great style. 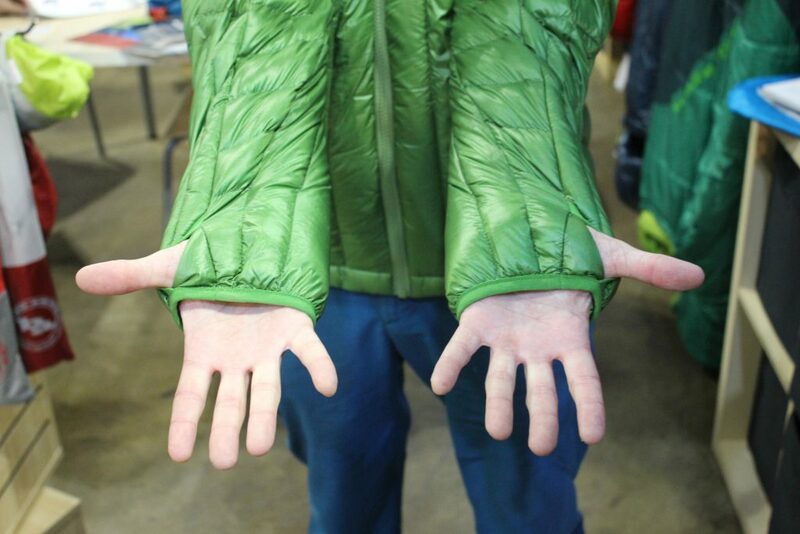 Our favorite feature was by far the extended sleeve lengths (absolutely necessary if you ask me) and thumb holes! Smart Big Agnes, very smart! 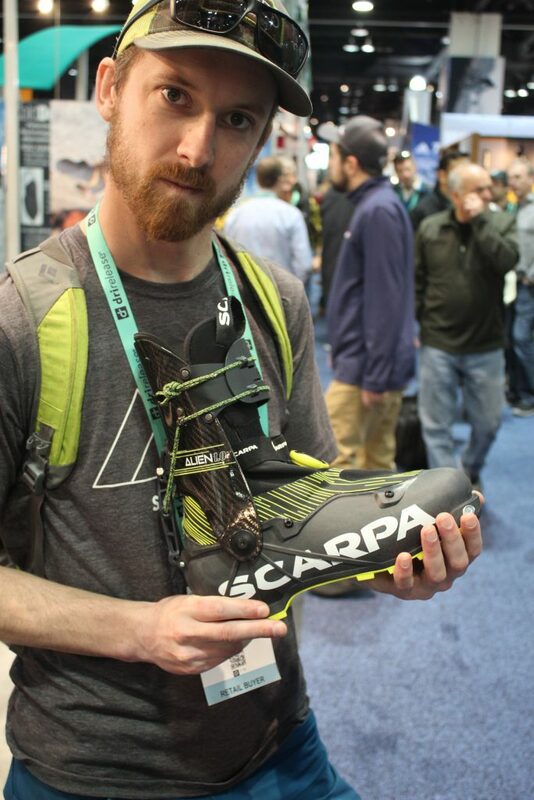 Our friends at Scarpa are just down the road in Boulder, CO, and while we love to grab a beer at Sanitas Brewery with them, we couldn’t help stopping by to say hi, and try to hide how smitten we are with their ski boots and ultralight trail-runners (or not – we totally gush). 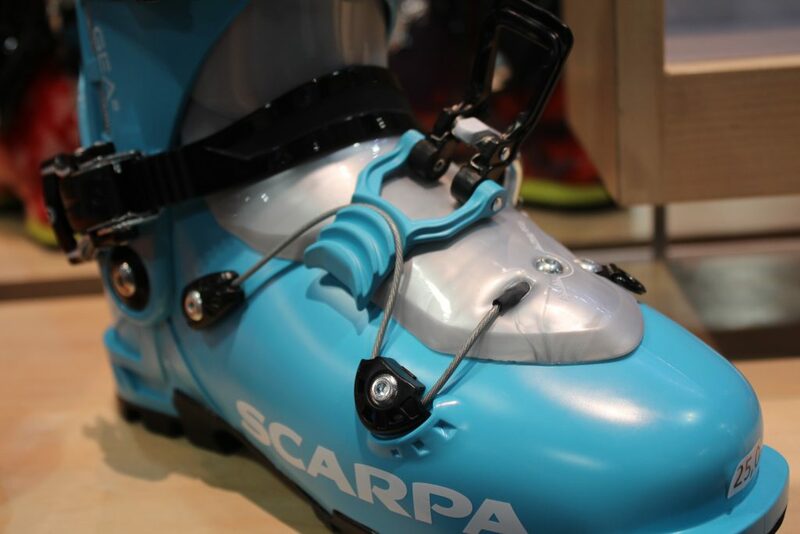 I personally will never give away my Scarpa Gea AT boots. 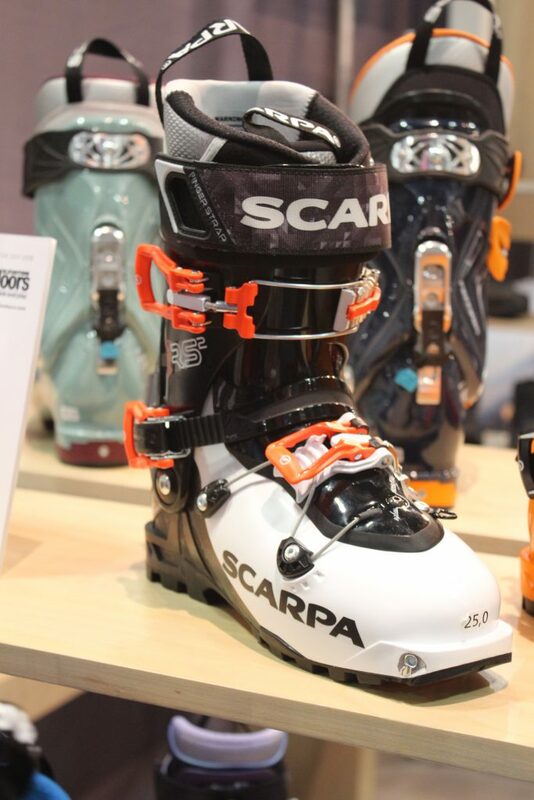 Many touring boots got an upgrade this year to their signature wave closure while staying true to their same gold-standard balance of uphill and downhill skiability. 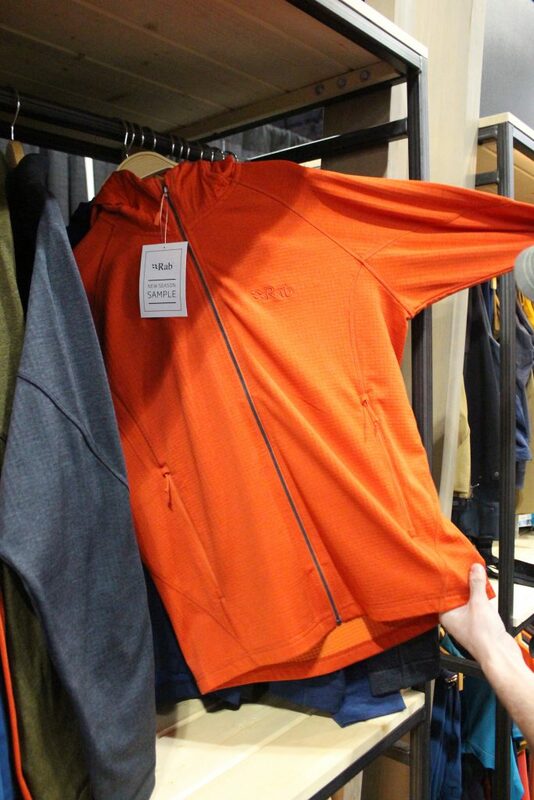 Rab, local to us as well, always has a keen eye for creating gear for the ultimate alpinist. While their gear is at a higher price point, it’s worth the money. 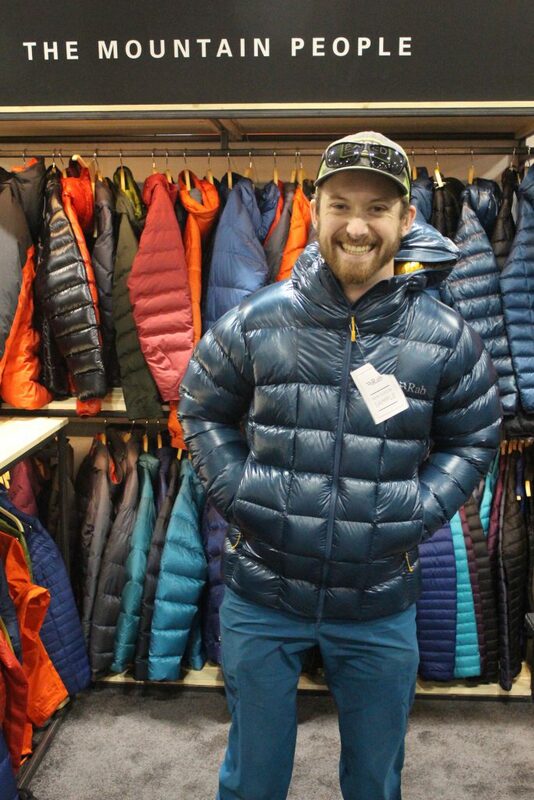 New sleeping bags and mid-layers, Allen’s was all smiles trying on his new favorite down jacket, the Infinity G Jacket (pictured below) boasts 8.4 oz of 850 fill goose down while weighing in at a feathery 17oz! My fiance also basically lives in his Rab mid-layers, the perfect balance of warmth and durability that you need in a garment to get miles and miles out of its lifetime. 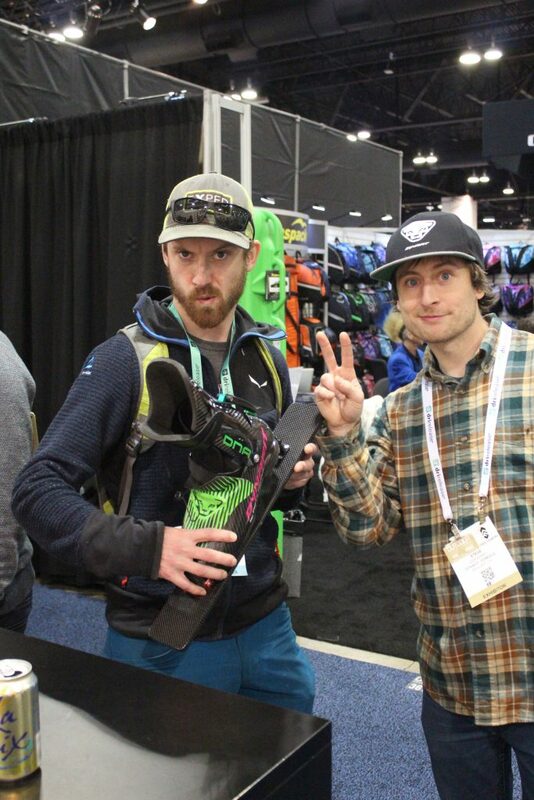 We always have a fun time visiting the boys at Dynafit, who not only are rad skiers but really know their stuff. We came to check out the newest award-winning, champion of the AT boot world, the Hoji Pro Tour Boot which features the new Hoji lock system, 11 degrees of forward lean – a boot that is as much about the climb as it is the decent. Unfortunately, this boot was so popular, we couldn’t even snap a picture of it because it was in the hands of every person (accompanied with a face of awe). 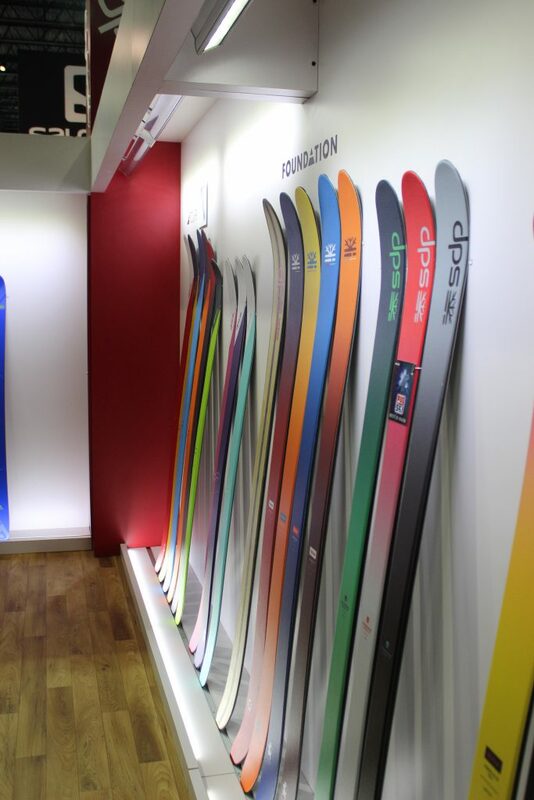 Nonetheless, Dynafit’s touring skis are always a crowd favorite. The folks at DPS are just plain good people. 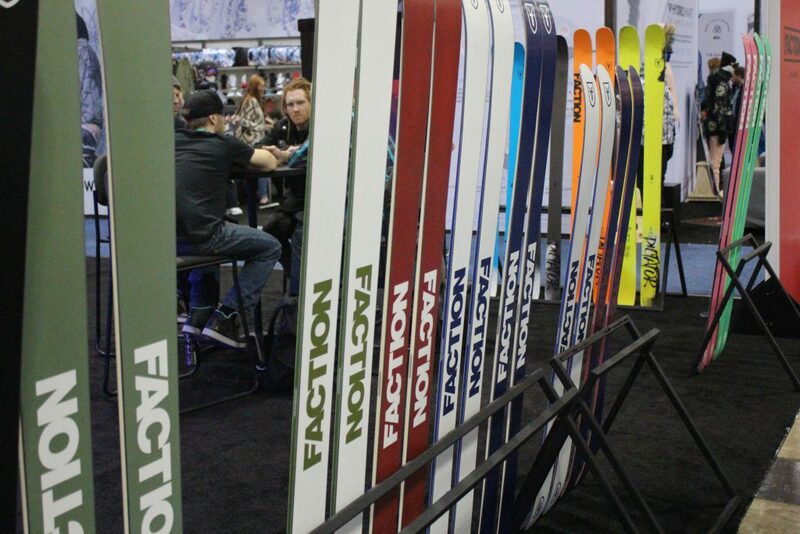 Hailing from Salt Lake City, we promised to have a couple more on-mountain “business meetings” in the near future. 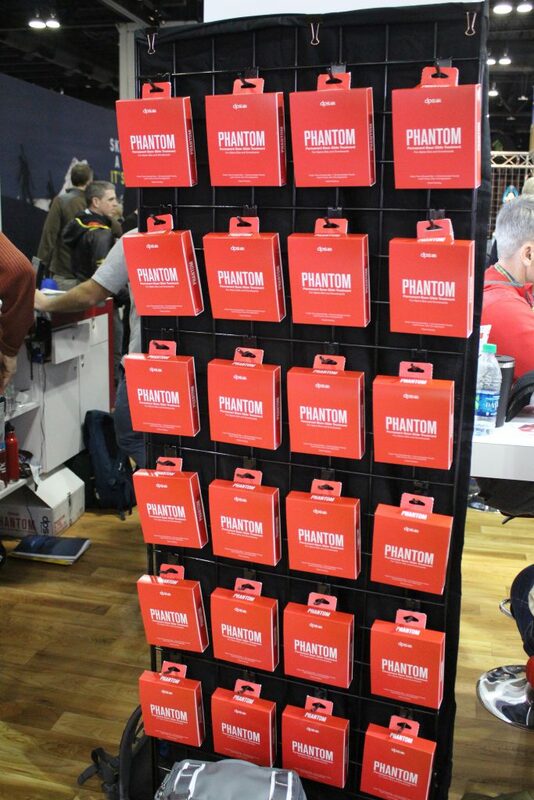 Their booth was ablaze with buzz about… you guessed it, Phantom Permanent Base Glide Treatment. 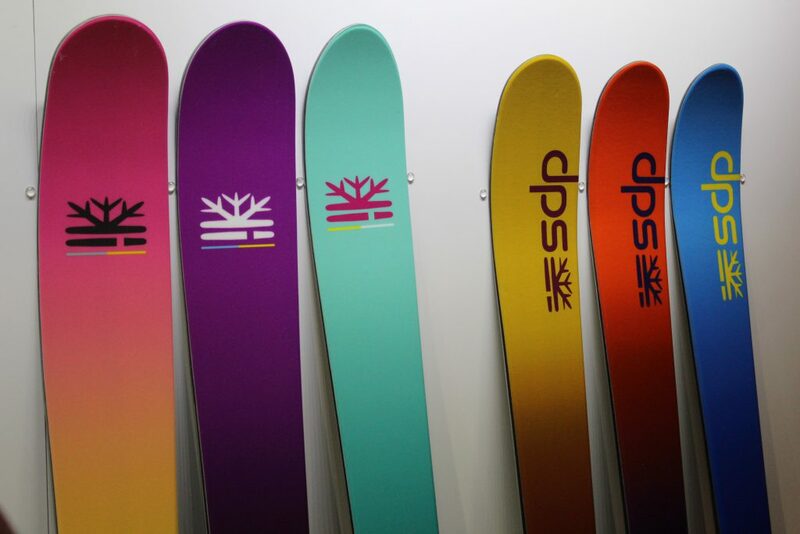 If you’ve been sleeping under a rock, Phantom Wax is DPS’ new permanent, one-time application base coating that forever eliminates the need for waxing skis and snowboards. Fun fact: some guys at MIT were trying to discover a way to remove ketchup from ketchup bottles more efficiently, and discovered that the polymer technology could be applied to ski and snowboards. We love it because it also eliminates the damage traditional wax does to watersheds, along with the health risks of those who apply traditional wax. Find Phantom on Outdoor Prolink! **Both Kenzie and Jess demo-ed the 2018 Foundation series Uschi at Copper Mountain and we’re BLOWN AWAY by how fun these skis were. Check out the 2017 version here. Let me tell you a story about the time we went touring with the BCA folks up Berthod pass. By the time I got my skins on and clicked into my bindings, they were both halfway up the mountain. No joke. 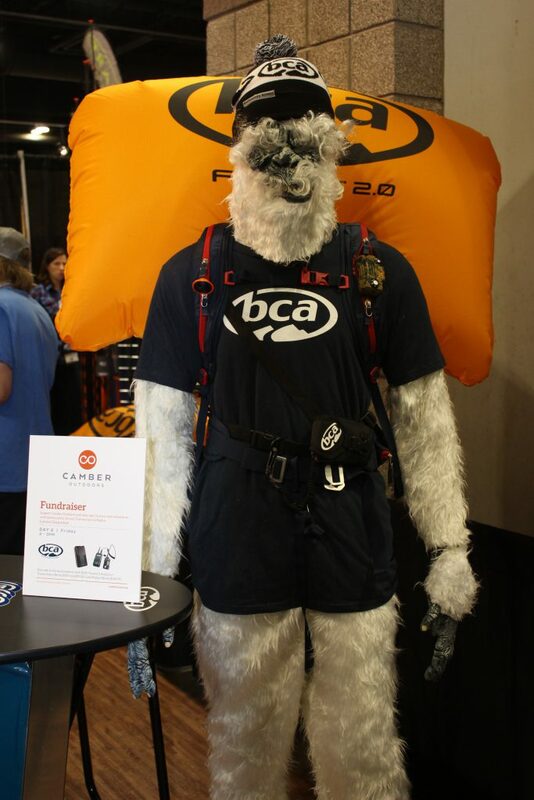 BCA lives and breathes backcountry skiing, and their innovative snow safety products are literally saving lives every day. 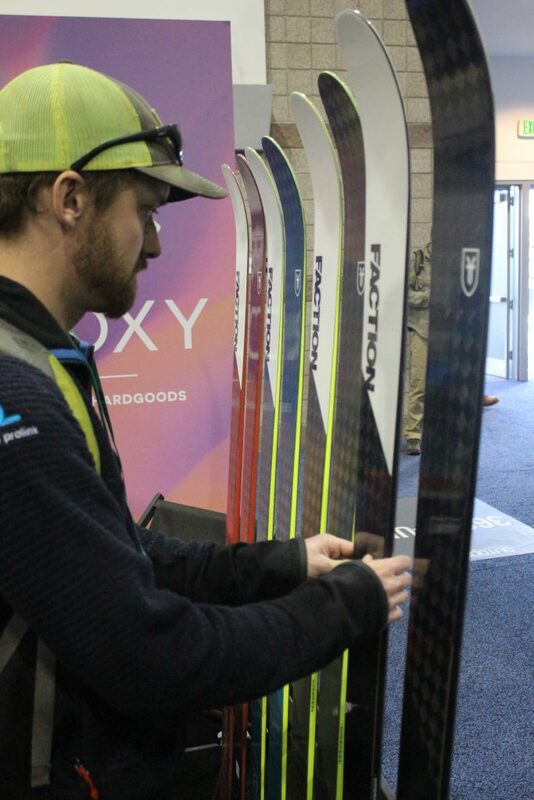 We visited the booth to see what’s new, including newly designed float packs that are a bit lighter, snow saws that attach to your Skeptor Poles, and extra long probes for those of you who live in Whistler or Jackson Hole (we’ll continue crying over here in the Front Range). 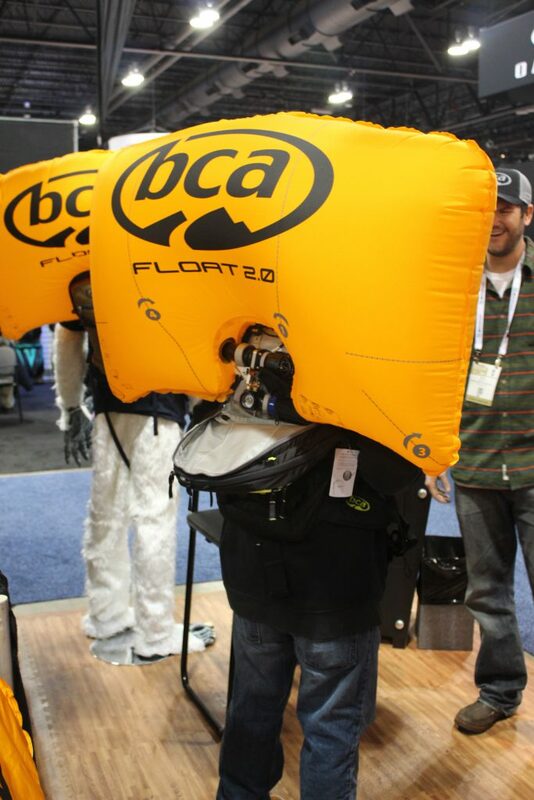 We even got to trigger a float pack, and I hope I never have to do that again. 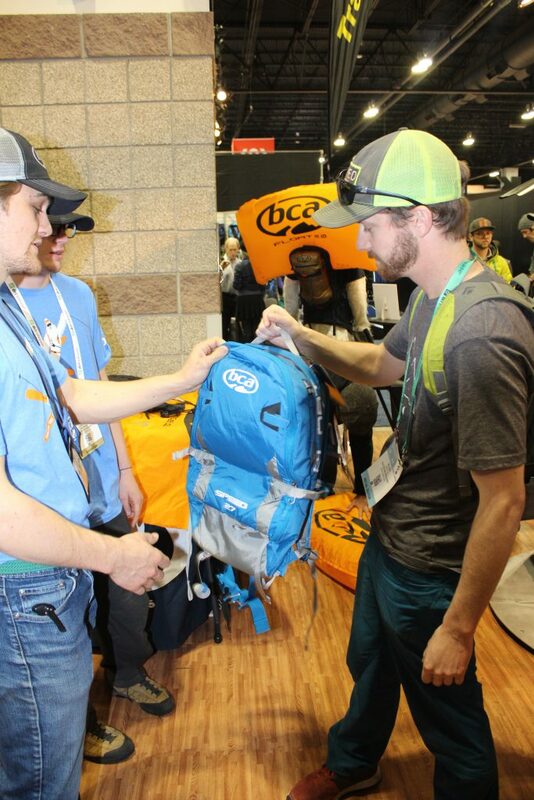 New Brands to Outdoor Prolink! 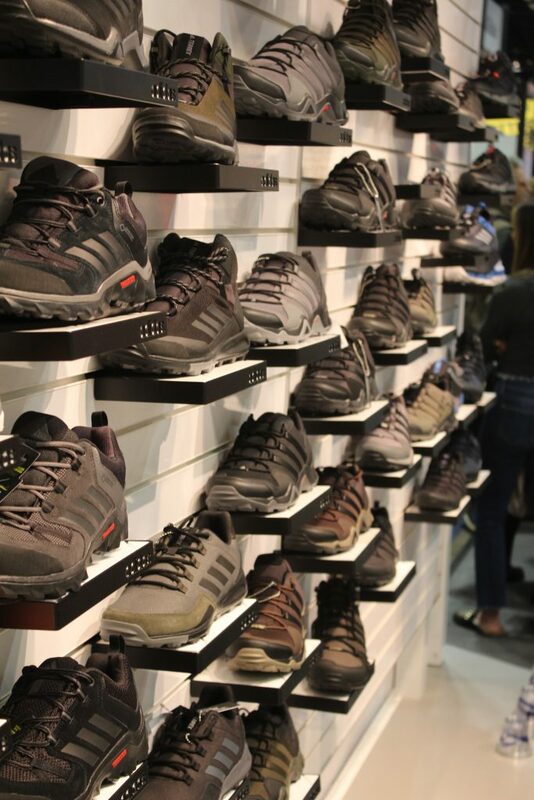 We’re excited to welcome adidas Outdoor to the Outdoor Prolink Family, and had a chance to see all the awesome apparel, activewear, and footwear. 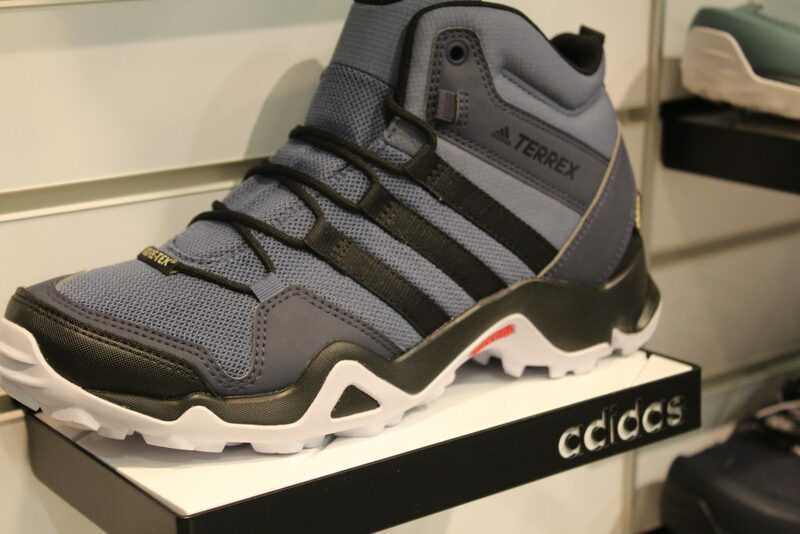 Allen and his girlfriend Joy recently took a trip to Iceland, where Joy swore up and down on the Women’s Terrex Ax2r for major hiking trips and all-day comfort, available in new colors for 2018 below. New to the ski brand family of Outdoor Prolink, we welcome rad ski company and all-around incredible skiers (Dave, their Director of Operations literally skied the entire slope backwards on demo-day), to our community of pros! 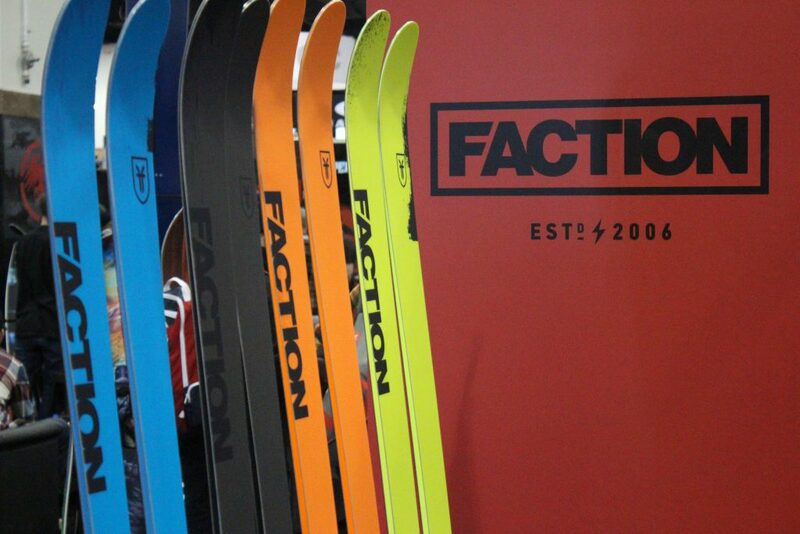 Faction had one of the busiest booths during on-snow demo day, and we know why. 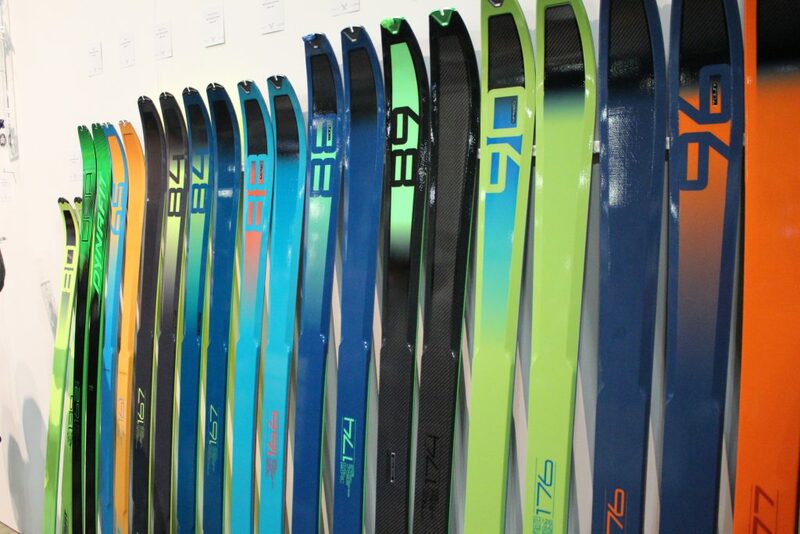 They make great skis. 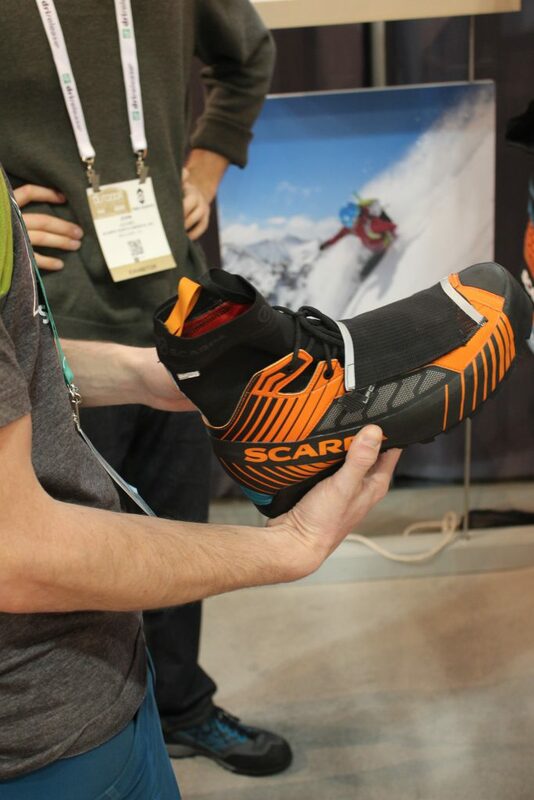 I tested the Dictator 2.0 series on the slopes, and I can confirm – they are ready to slay it all. Also new to the Outdoor Prolink Family, is Kylmit, the brand that will help you fall asleep outside and wake up as comfortable as possible. Allen loves their sleeping pads and boasts that they’re the most durable pad he owns (yes, he owns multiple). While we’ll be sad to see winter go, this makes us really excited for camping and backpacking season! 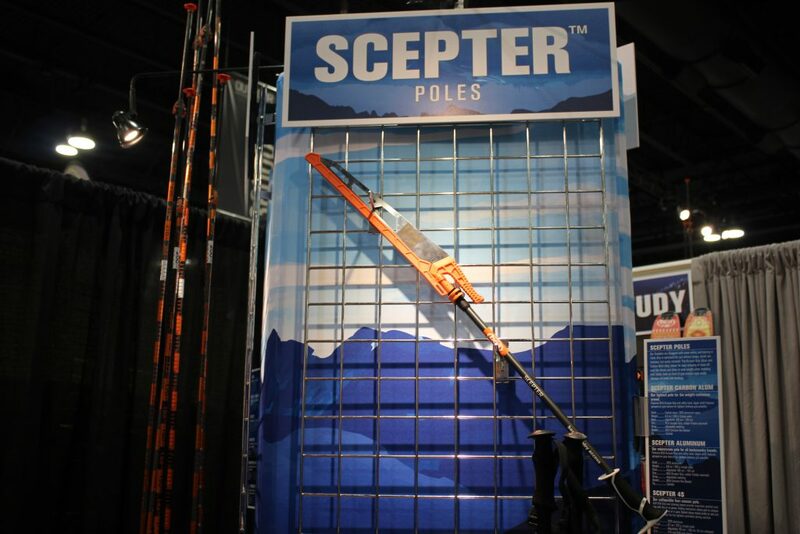 We can’t forget one of our highlights of the whole trade show! 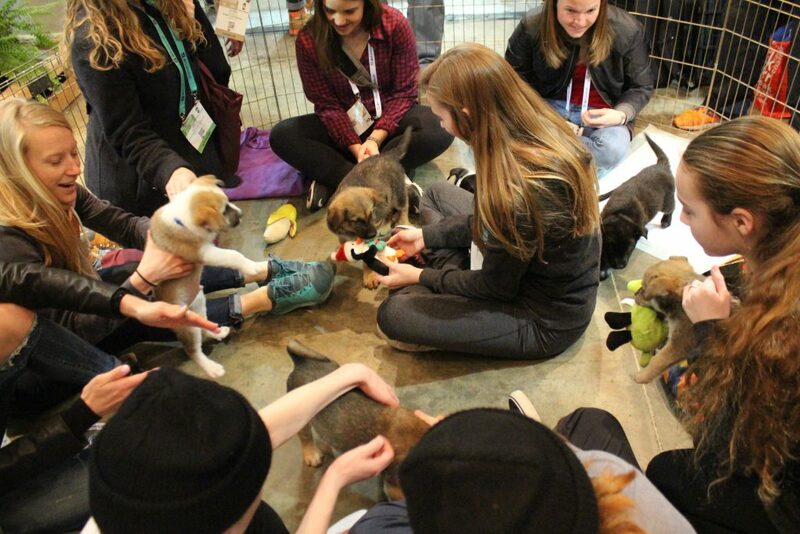 The Bogs booth set up a pen with 10 litter mates all up for adoption. Yeah, it was as adorable as it sounds. We are so grateful to be apart of this amazing industry and so excited to see new gear that will come into our lives over the next year. A huge shoutout to all of our brands we got to see at the show, and those we missed. Follow Outdoor Prolink on Instagram and Facebook, and continue to check OutdoorProlink.com for new brands and the latest gear at pro price. Jess Shuck, soon to be Jess Villaire, is the newest addition to the marketing team at Outdoor Prolink. 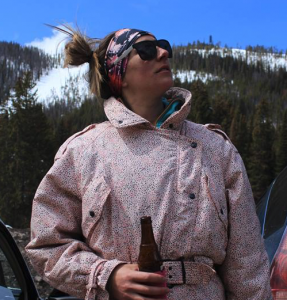 You will find her outside with her dogs, Leelah and Jackson, backcountry skiing, doing yoga, SUPing, or mountain biking in her hometown of Lyons, Colorado. Follow her on instagram, or send her a message on Outdoor Prolink’s instagram, it would totally make her day.